Secondary, metastatic cardiac tumors are defined as spread of distant tumor cells to any structure of the heart including peri-, epi-, myo- and endocardium as well as coronary vessels [1, 2, 3]. While these masses are rarely found ante mortem, they are identified in 0.7–3.5% of autopsies . The vast majority of them remains clinically silent [1, 2, 3]. 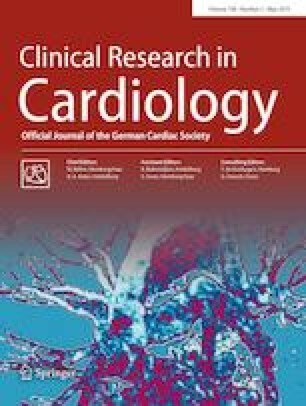 We present a case of cardiac melanoma as a rare cause of sudden cardiac death. LDK: concept and design, analysis and interpretation of data, drafting and revision of manuscript. FT: interpretation of data and revision of manuscript. TG: autopsy and pathology images and revision of manuscript. HT: interpretation of data and revision of manuscript. K-PR: concept and design, drafting and revision of manuscript. Leon D. Kaulen: reports no disclosures. Franziska Tietz: reports no disclosures. Tanja Gradistanac: reports no disclosures. Holger Thiele: reports no disclosures. Karl-Philipp Rommel: reports no disclosures.